Located at the Intersection of Leigh St. and Chamberlayne Parkway. 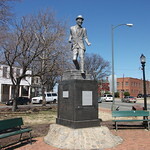 The statue and plaza commemorate Bill "Bojangles" Robinson, an early African American entertainer born in Jackson Ward in 1878. 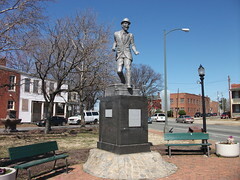 The site features one of the many historical statues endemic to Richmond culture, and one of a number which memorialize the achievements of the city's former African American citizens.